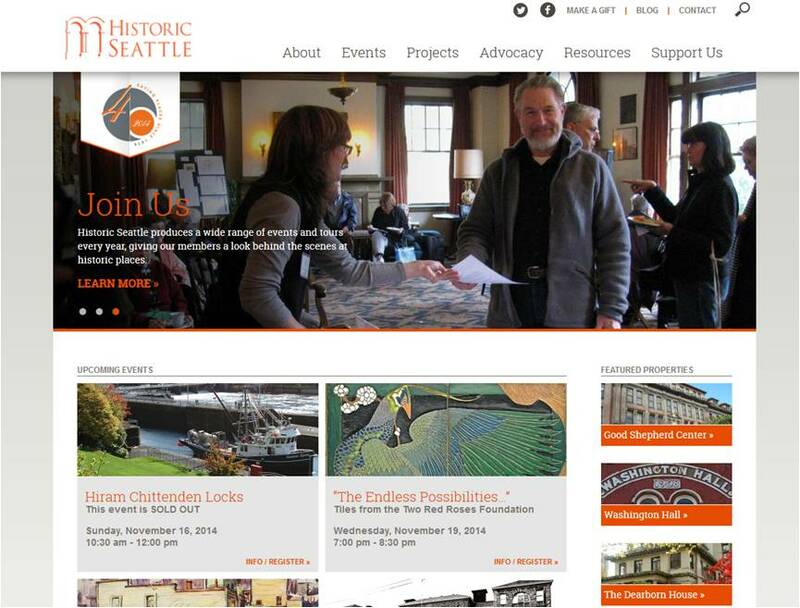 Historic Seattle recently launched a newly re-designed website and MAin2 is now integrated into the new site. This is the last post for this version of the MAin2 blog. If you are an email subscriber to MAin2, then your subscription has been transferred to the blog on our new site and you should be receiving email notices of new blog posts. No need for you to do anything. If you are an RSS subscriber, you’ll need to go to our blog on our new site and subscribe again. Historic Seattle owes a debt of gratitude to Marissa Natkin, who led our efforts to create a website in the mid-1990s, and has managed our online presence for the past two decades. She was instrumental in shepherding the development of our new site. Big thanks to Creation-1 Interactive for creating our new website! We hope you’ll find our new site easy to navigate and informative! If you have any feedback on your experience using our new site, please contact Membership & Communications Manager Dana Phelan at danap@historicseattle.org. Enter your email address to subscribe to this blog and receive notifications of new posts by email. Or, subscribe to this blog via RSS below. The writers who post entries on MAin2 represent various views and opinions. The blog posts do not necessarily reflect the views and opinions of Historic Seattle.